We all know how frustrating it is to open that treasured bottle only to discover it is corked. Is there a solution? For the last 10 years or so I have experimented with Saran Wrap but any plastic food wrap will do nicely. I have had mixed results but a few weeks ago I opened several hours before dinner at home a bottle of cellared 1996 Barbaresco Pora from the Produttori del Barbaresco. An excellent vintage with no rush to drink them up. This bottle however was badly corked on opening and decanting. I immediately tried this trick. Crumbled up quite a bit of plastic wrap into another wider mouthed decanter and swirled around the wine and the immersed plastic. Then stoppered the decanter and put in the frig for 2 hours. Brought it out and allowed it to warm up and decanted it back into the original decanter. Presto! It worked fantastically this time – best yet – as the TCA was absorbed by the plastic and it turned out to be an amazingly clean bottle of wine. Other wines for shorter periods of plastic exposure have brought mixed results. I have even boldly asked to try this procedure with expensive wine I brought to a restaurant that turned out to be corked. It always seems to help to a certain extent but not as perfectly as on this recent occasion. Good luck! I recommend you try it. If you have already please let us know of your results. Any other ideas of trying to improve corked bottles of wine – other then switching to screw tops or sending it back for another wine in a restaurant? Wine being served from kegs in restaurants has really taken off over the past couple years. The younger demographics seem to prefer this easy casual style which makes the wine service simpler – like ordering a draft beer. This system has been around for a while in Europe and more recently in many major US cities. Vancouver Urban Winery has developed a growing business (a first in Canada) providing bars, hotels, and restaurants with kegs just under 20 litres in size with pumps and nitrogen for serving local wines from British Columbia. They also bring in New Zealand sauvignon blanc and Argentina malbec. 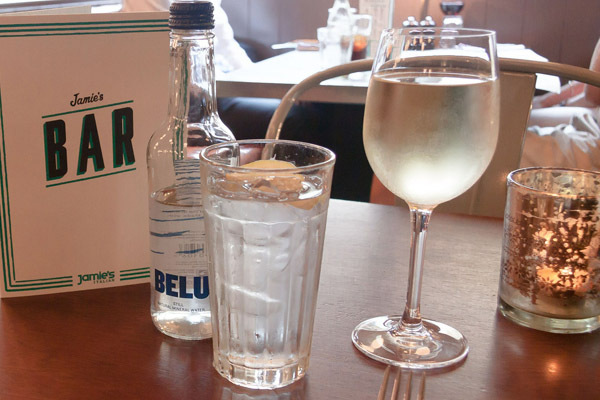 A local Italian restaurant brings in Prosecco served on tap! I believe this is a good idea for wines best enjoyed fresh and not requiring any bottle age. Fun comparing the same wine in the keg and in the bottle. The concept is green and eco friendly saving on handling, bottles, corks or screw caps, capsules, labels, transportation costs and provides consistency of product. Reusable kegs helps. Last week at an Air Canada En Route Restaurant Awards event the only wine choices were a white, rose or red from 3 different wineries all on tap. A few issues including some whites being stored too cold precipitating tartaric crystals in your glass but generally well done. Recommended for fresh vibrant aromatic whites and roses. Less convinced for powerful tannic young reds that need some bottle age. Works better for fruity fresh less tannic Beaujolais type reds served cooler than room temperature. What is happening in your region with wines in keg on tap? Do you like this growing trend? It was at the height of the Cold War and nuclear energy was everywhere. As numerous power plants were built across North America, the USS Nautilus became the world’s first submarine to be fueled by the atom. Considered both the safest and cheapest way to electrify towns and cities, experts predicted that you would no longer have to meter homes due to nuclear power’s outrageously low costs. to canal bottom, where MTR fuel elements emit gamma radiation. So during this period, it was only natural that atomic science crossed paths with the food we eat. 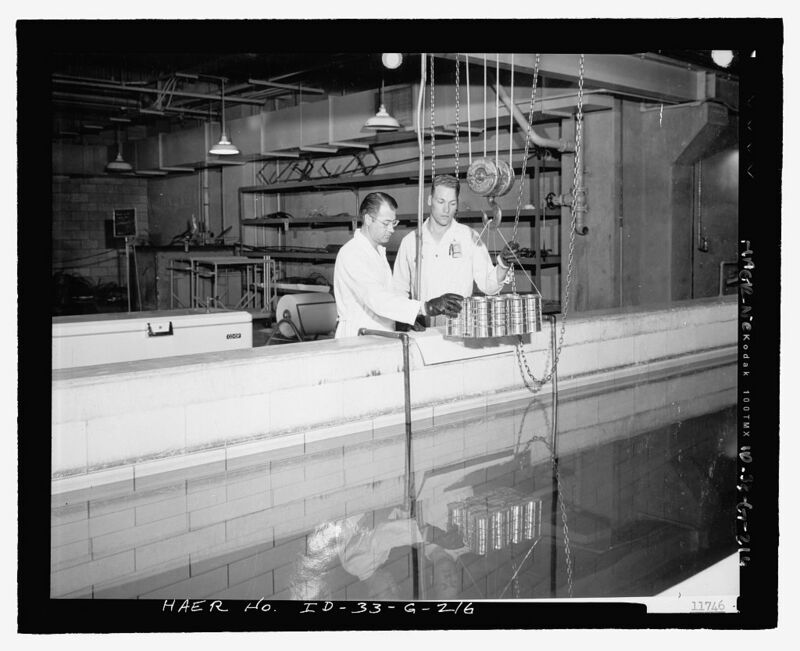 Starting in 1953, the United States Army along with scientists at MIT began testing out whether using specific dosages of ionizing radiation would slow down or possibly eliminate the spoilage of food by destroying certain bacteria in it. And although the technology had existed for nearly half a century before, Cold War geography now made food preservation a top government priority. As the Korean War winded down and the American military extended its footprint across the globe, the issue of keeping food fresh for soldiers and personnel on the front lines was vital. If war broke out in Berlin, Budapest or Beirut, meals could be brought from the other side of the globe just as fresh as the day they were picked or cooked. With irradiated food, expiry dates could go from days to months — even without refrigeration. Food storage would be revolutionized for military and civilians alike. More than half a century later, many of the foods and spices we eat use irradiation. And while consumers have raised concerns about the safety of irradiating food, often confusing it with being radioactive (it’s not), studies have showed that more and more people are opening up to this concept. What’s your thoughts? Pro or con? 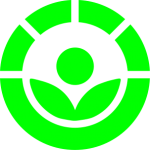 The international Radura logo, used to show a food has been treated with ionizing radiation. Would you eat anything preserved by food irradiation? This week is the one year anniversary of my presentation at the Vancouver IWFS International Festival on September 13, 2012 of the annual Andre Simon Lecture. My topic was Andre L Simon Partners (1951) Revisited and celebrated the thoughtful ideas in his “Game of Wine & Food Match-Making” with some suggested current updates. My lecture can be referenced at http://www.iwfs.org/assets/upload/images/2012_Andre_Simons_Partners_1951_Revisited_S_Cross.pdf. This year’s Lecture will be delivered by my friend the knowledgeable revered Michael Broadbent on November 13, 2013 at the Society’s 80th anniversary celebrations in London, England. This will be an encore appearance for Michael as he presented the Andre Simon Lecture at Christie’s London back on October 18, 1971. I continue to offer frequently my thoughts on some wine and food pairings that I enjoy. 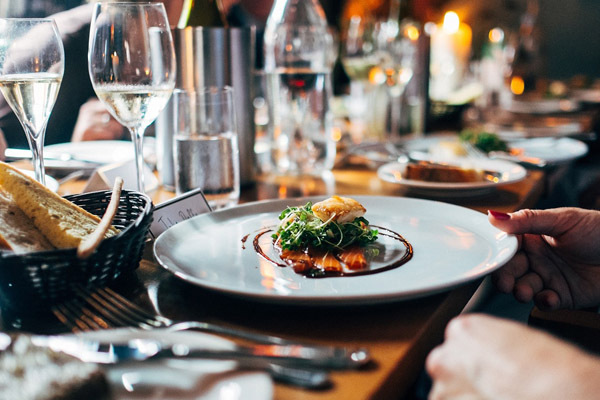 Here is one posted this week in Eat Magazine about some possible best wines to go with duck recipes: http://www.eatmagazine.ca/what-to-drink-with-that-duck. Your thoughts appreciated. This wine and food game is a very personal subjective topic. 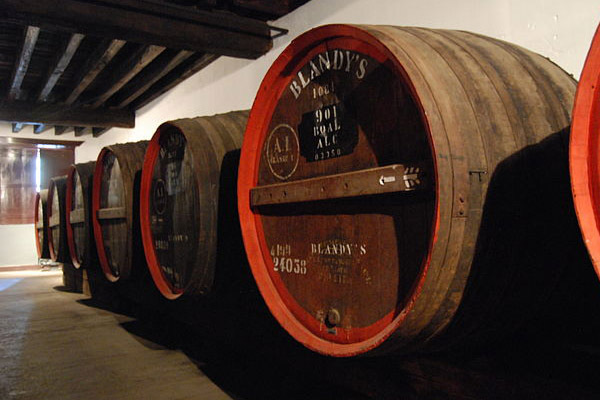 I am sure you all have discovered some magical combinations that work particularly well for your palate. Please share them with us by posting a short comment. Just finishing up quite a hot summer. Too often in restaurants my wine (particularly red) has been served too warm for my liking. Sure you can ask to have the bottle put into the frig or into an ice bucket to cool it down. However that might not be the best timely solution if the wine is already opened and about to be poured around the table to all the guests. A trick I have used forever is to take the largest ice cube from my water glass and quickly swirl it in my empty wine glass for a few seconds to really chill it down and then return it to the water glass. This technique may not show off the best of your social graces but it sure works surprisingly well in improving the wine’s vibrancy. I learned this past weekend from the Wall Street Journal On Wine article by Lettie Teague (Strike the Just-Right Degree of Wine Cool) that she learned this trick from the late Alexis Bespaloff. You should be able to access this excellent article at http://online.wsj.com/article/SB10001424127887323407104579037093927149138.html?mod=wsj_valetbottom_email. I recommend their WSJ weekly On Wine column which always seems to have something of topical wine interest in it to get you thinking. There are other tricks like CoolBlues Reusable Ice Cubes available on Amazon or a new product called Whiskey Stones (“ice”cubes of solid odourless tasteless soapstone that don’t melt) available at www.vat19.com/dvds/whiskey-stones.cfm. I personally haven’t tried either of these myself at home. May work to chill down your glass of wine to the perfect temperature for you but are not recommended by me. White wine served too cold is easier to deal with by just warming up the glass with your hands. Better yet if you have a cloth napkin to avoid fingerprints on the polished surface. What tricks do you use to try and achieve the perfect temperature for you of the wine served to you?